The Club at Caye Caulker ... Clean room! Comfortable bed! Quiet nights! 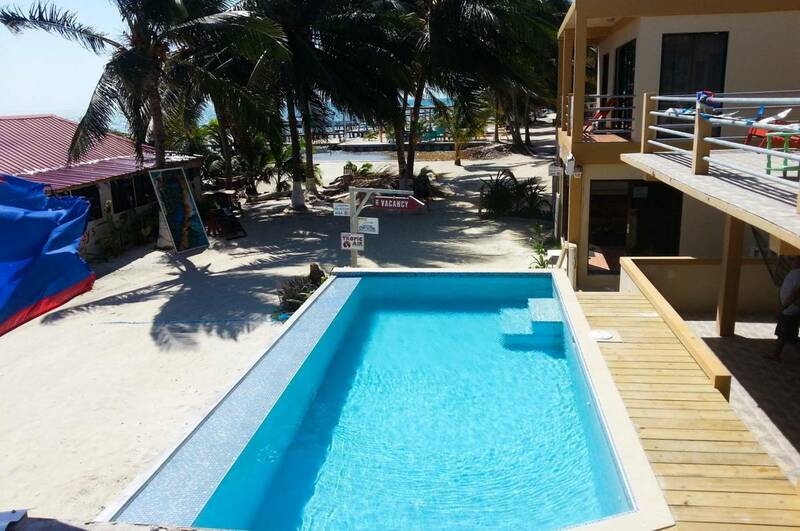 Beach Front Hostel with a pool and private beach. Offers both dorm beds and private en-suite rooms with A. C. or water front family suites. We have our own private beach with lounge chairs provided, located in the heart of Caye Caulker, where just steps away is your main transport to and from island, and steps in either direction takes you to all the hot spots on the island, live music bars, great food and cheap eats. Our dorm rooms are solid built structures with new beds and guaranteed Bed Bug Free with our once a week heat treatment applied to all rooms. Budget to Deluxe, offer it all. Free Lockers, towels and linen. Air conditioned dorms, fridge and microwave access, BBQ area, private dock for fishing. 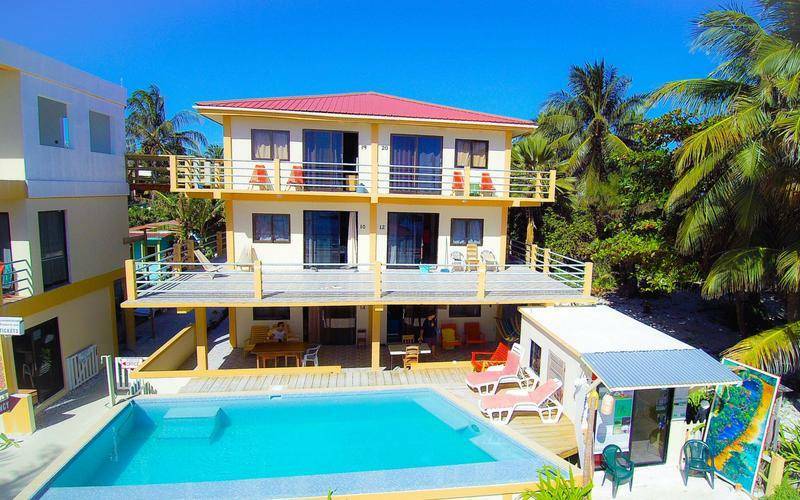 Just steps from the cheapest water taxi from Belize, Free Airport Shuttle, Wi-Fi, beach, pool, bar on site and complete tour guide service includes diving, crocodile estuary, snorkel, fishing, kayaks. This is the place you want to stay if your on a budget. 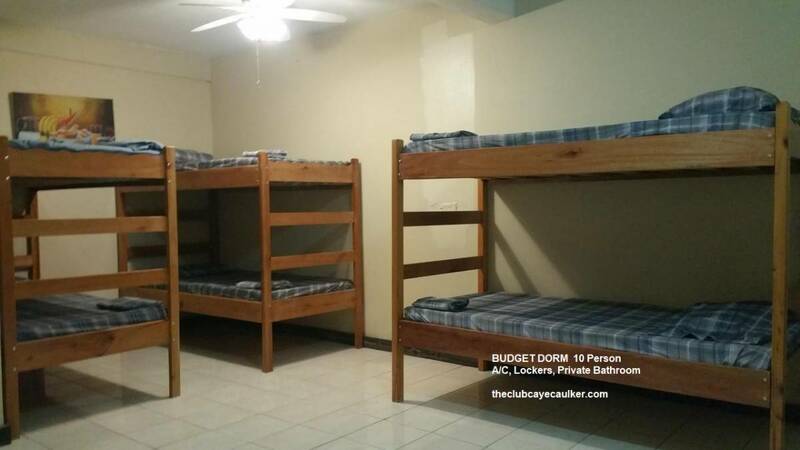 Our dorm rooms are solid built structures with new beds and guaranteed Bed Bug Free with our once a week heat treatment applied to all rooms. Budget to Deluxe, offer it all. Free Lockers, towels and linen. Air conditioned dorms, fridge and microwave access, BBQ area, private dock for fishing. Just steps from the cheapest water taxi from Belize, Free Airport Shuttle, Wi-Fi, beach, pool, bar on site and complete tour guide service includes diving, crocodile estuary, snorkel, fishing, kayaks. Taxes not included - 9%. From Belize Airport: Take a land taxi to the Belize Water Taxi Docks, the cost is the same always and is for 1 or 2 people. 2 Water taxi Companies serve us, Ocean Ferry Belize or San Pedro Belize Express. Ocean Ferry is cheaper and Friendlier. As well, Ocean Ferry almost pulls in at our reception office. Take any scheduled water taxi, exit dock and turn left on beach, you will see our office across form pool on the beach. 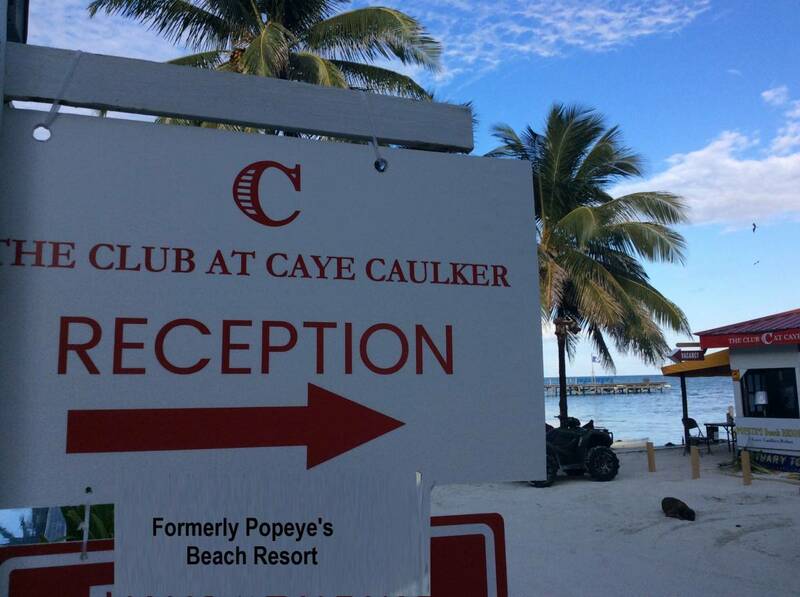 From Caye Caulker Airport: Have the airline, Tropic or Maya, call us when you arrive, we will send a golf cart taxi for you and pay for it at check in. From Chetumal Mexico: Take any 3:30 PM Daily Departure boat to San Pedro/ Caye Caulker, you will arrive approx 6 pm to 630. 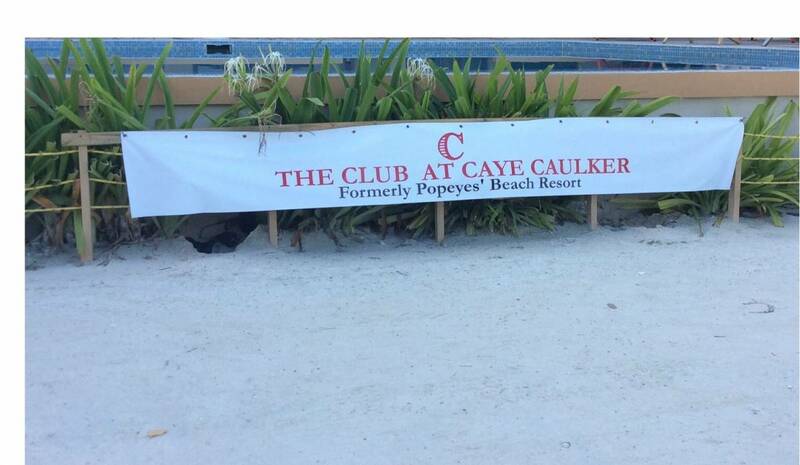 Take a golf cart taxi to Popeyes Beach Resort - the entire island knows who we are.